Great photo, that was a fresh seafood meal. Yes, fresh seafood would be better than anything else. Thanks! A very well timed and captured first photo. Were you watching the seagull to see what it was going to do? I try not to eat food in the open on the beach for fear of how aggressive the seagulls can get here if they smell hot food. Thank you Lignum Draco! There were a bunch of gulls flying around, or standing on the beach. I just happened to notice this one as it dove to catch the crab. You are very kind, Amy! Thanks! I envy your proximity to the shore. Great captures! Thanks Eliza! We are about 1 to 2 hours from the shore, depending on what beach we want to go to. 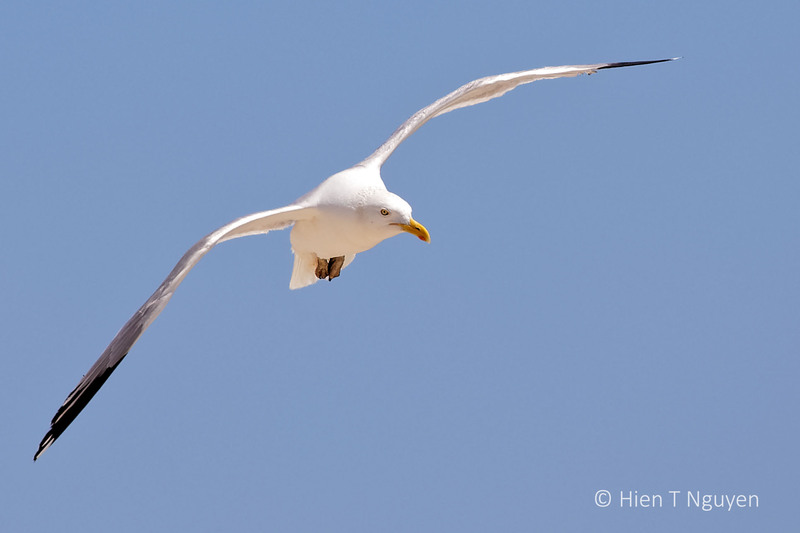 I happen to love gulls, even most people don’t, so I’m very happy that you posted these! 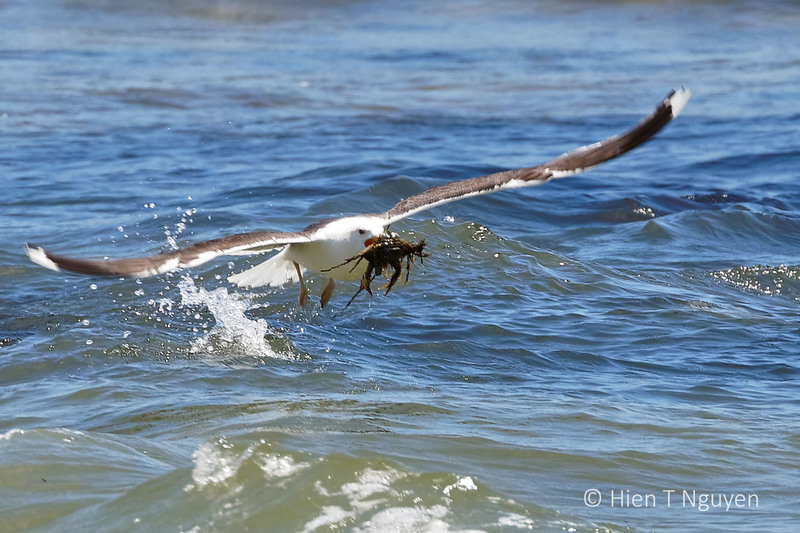 I’ve never seen a gull grab a crab, as we have no crabs i the Great Lakes. That’s too bad the Great Lakes don’t have fresh water crabs like in the tropics. It does get very cold where you are Jerry. Thanks for commenting! Thank you! I was taking pictures of our granddaughter and saw the gulls flying over the waves. Went over there and happened to capture this shot. Not perfect but it does show the action. You do capture some amazing shots, Hien. The gull and the crab? Wow! Thank you Lois! Glad you like this one.